UFO SIGHTINGS DAILY: Millennium Falcon UFO appeared over a home In Canada, Feb 3, 2019, Photos, UFO Sighting News. 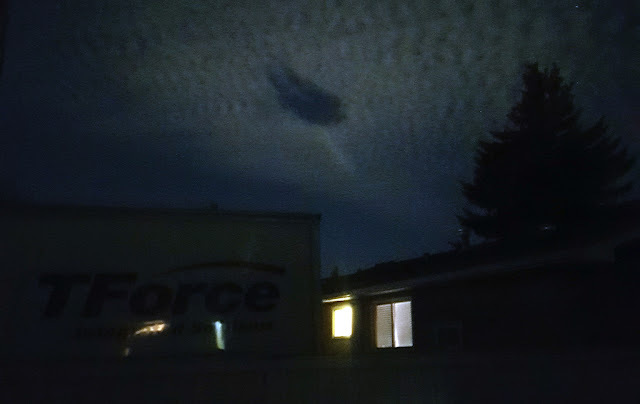 Millennium Falcon UFO appeared over a home In Canada, Feb 3, 2019, Photos, UFO Sighting News. 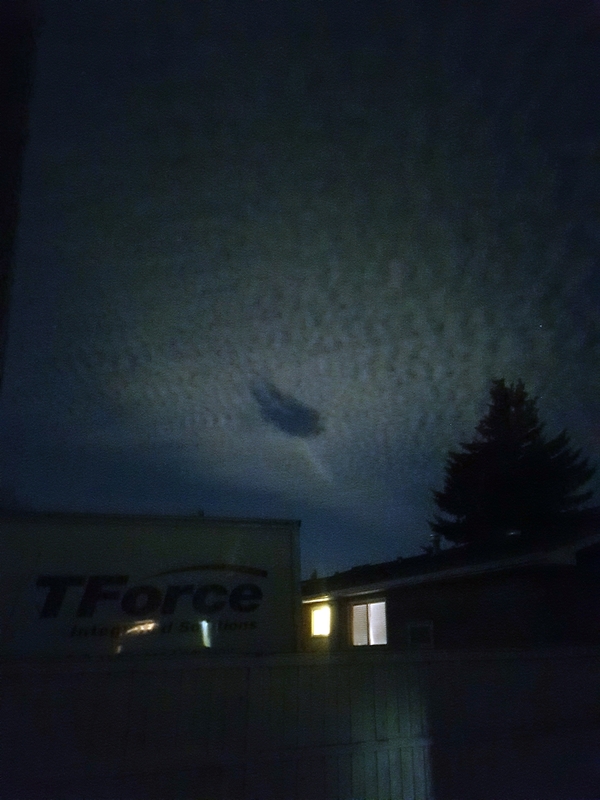 A Millennium Falcon shaped UFO appeared over a home this week in Calgary, Canada. The UFOs dark silhouette really stands out as its position causes a gapping hole in the cloud floor. The UFO itself is most likely cloaked, however the UFO still has mass and that mass is pushing aside the clouds its using to hide in. I also wonder if the eyewitness looked up because they had an intuition...or feeling of being told to look up. This often occurs when eyewitness are this close to UFOs late at night or early morning. Exited the garage and noticed something in sky appeared to be behind clouds so I ran and grabbed my cell phone and took 3 pictures.